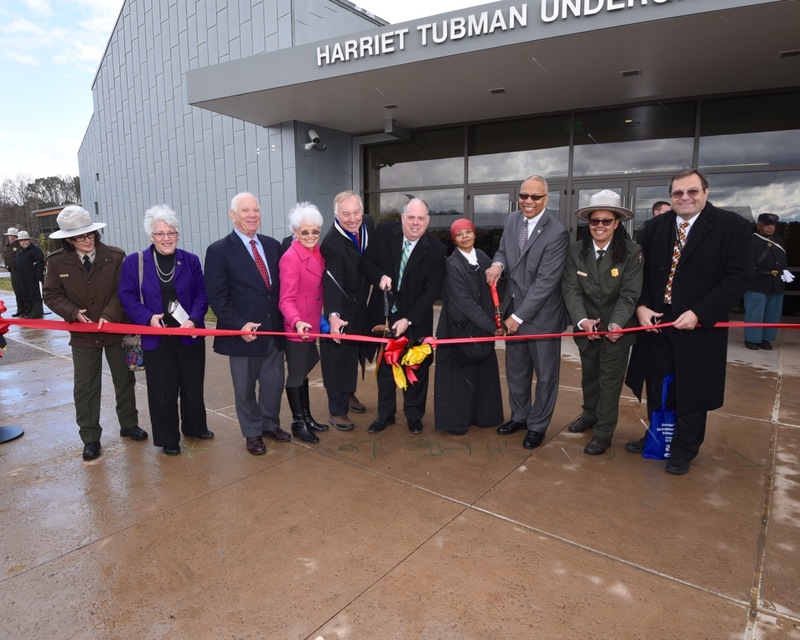 In honor of Harriet Tubman Day, Governor Larry Hogan today announced the grand opening of the Harriet Tubman Underground Railroad Visitor Center in Church Creek, Maryland. The governor joined nearly 500 guests for the ribbon-cutting ceremony, including descendants of Harriet Ross Tubman, Lt. Governor Boyd Rutherford, and county and state officials. Harriet Tubman Day is celebrated annually, both nationally and in Maryland, on March 10. Governor Hogan also reaffirmed his continued support for erecting a Harriet Tubman statue on the State House grounds in Annapolis, and pledged to commit any necessary funding to see the project to completion. Currently, $300,000 is allocated in the administration’s Fiscal Year 2018 budget for the project. The park grounds include seventeen acres of parkland, legacy garden, recreational pavilion, as well as the new visitor center, which contains informative and educational exhibits to commemorate the life and lasting legacy of Harriet Tubman. The state, through the departments of Commerce and Natural Resources, is working together with the National Park Service and Dorchester County at this shared site to recognize and memorialize Tubman as an American hero and civil rights icon. 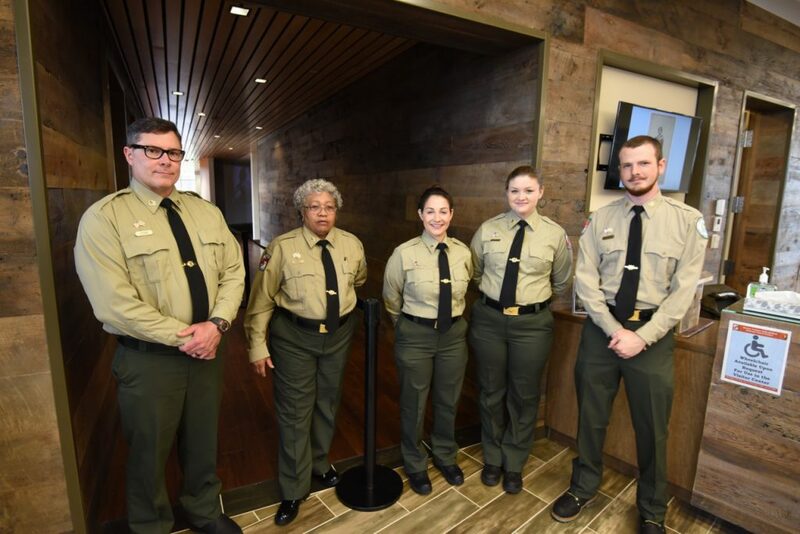 The Harriet Tubman Underground Railroad Visitor Center is a state-of-the-art LEED-certified facility managed in partnership by the Maryland Park Service and National Park Service. It houses an exhibit hall that features immersive displays, an information desk, a research library, and museum store. The site also serves as the new headquarters for the National Underground Railroad Network to Freedom, a National Park Service program. Admission is free. The visitor center serves as a gateway to the Harriet Tubman Underground Railroad Byway. The byway was designated in 2008 as one of the best scenic and historic driving tours in the nation. It takes visitors to cultural and historic sites in one of the most pristine 18th century agrarian landscapes in the country. The designation was a key factor in the awarding of $8.5 million in Transportation Enhancement Funds and $1.6 million in National Scenic Byway funds by the Maryland Department of Transportation. The Harriet Tubman Underground Railroad National Historical Park opens to the public on Saturday, March 11. The grand opening weekend includes a variety of special programs and guest speakers, click here for more information.